Think outside the box multi-tasking minerals compliment and accentuate your eyes to make them Darling Girl gorgeous. They can be used dry for a lighter color, foiled for more dramatic effect, or as a liquid liner that will last indefinitely. Helllooo teal, oh how I adore you. 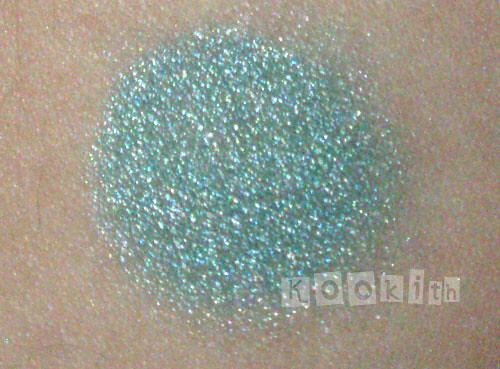 Mardis Gras is a teal that is almost a green. Depending on how the light hits, the intense copper duochrome coupled with the teal creates the illusion of multi-coloured sparkles. 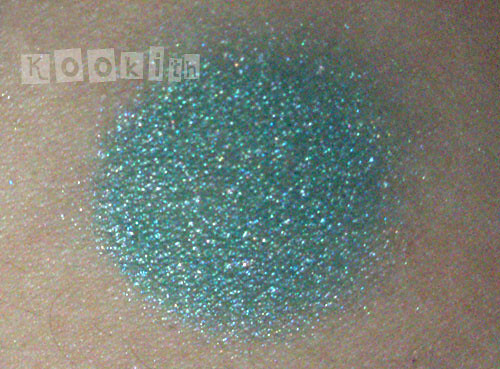 It’s interesting, because Susan had paired a cool teal colour with shimmer that is completely warm. The result is an eyeshadow that would no doubt flatter any skin tone, be it pink, peach or yellow. I’ve tried Mardis Gras both with and without a primer. The shadow blended wonderfully with little to no fallout, and the vibrancy lasted all day with a primer. Even without a primer, the shimmer held fine, though the colour was somewhat muted by the end of my long day. Customer service was great and Susan was very generous with her samples, which were already beyond reasonable at USD $0.60! She wrapped everything up beautifully in this white tissue with multi-coloured polka-dots. I would definitely buy from DG again.